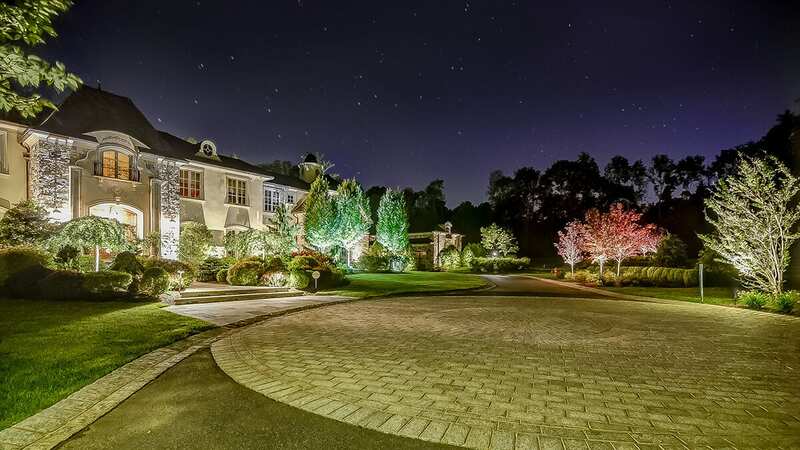 This gorgeous estate is a showcase of exquisite plantings, hardscaping, and landscape lighting. Everything in the landscape plan speaks of elegance, complementing and enhancing this beautiful home. 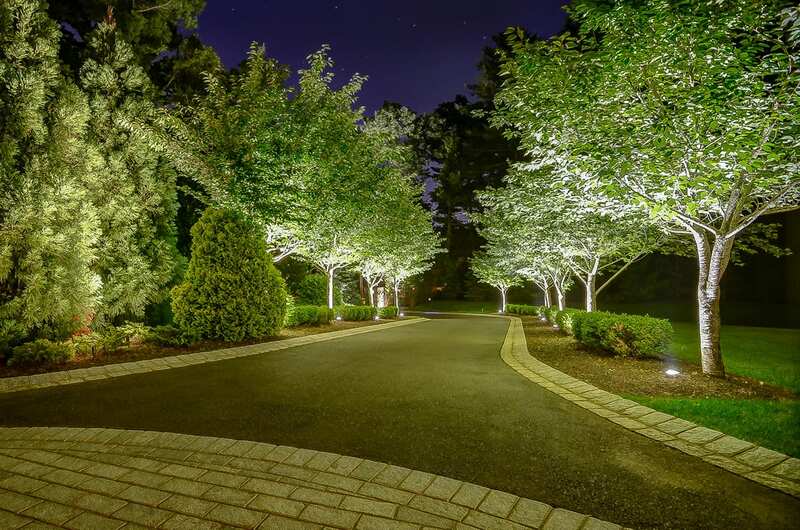 A grand stone entrance gate with privacy plantings and impressive lighting leads to a cherry tree-lined driveway with Belgium block curbing. The driveway leads to a Belgium block circle and an impressive bluestone full color range entrance with stunning detail lighting on the stone and façade of the home. 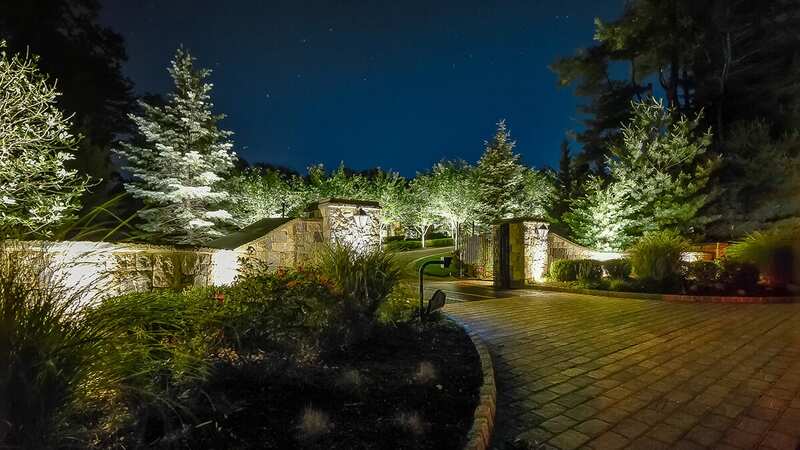 Beautiful up-lighted plantings grace the entrance walkway and the front of the estate. 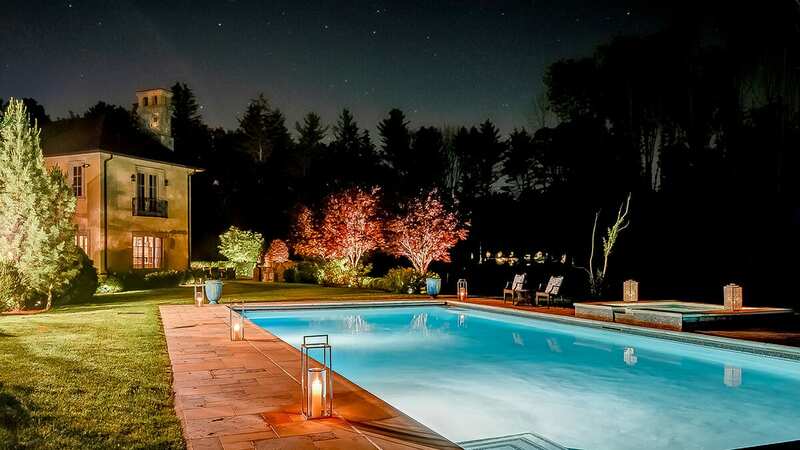 A bluestone path leads to the back of the home where elegant plantings surround the large rectangular Gunite pool with raised spa and waterfall. The lush lawn area boasts illuminated boxwood hedges and dogwoods to provide detail and boundary. 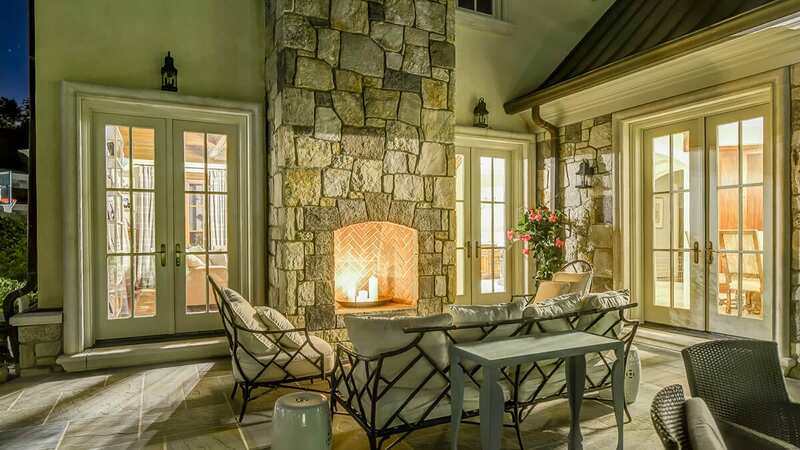 The full color-range bluestone patio and elegant stone fireplace create a delightful resting or entertaining space.